Preheat the oven to 350F degrees. Line two 12-cup cupcake/muffin pan with cupcake liners. In the bowl of a stand mixer, beat the butter on high until soft for 30 seconds then add sugar. Beat on medium-high until light and fluffy. Continue to add eggs and egg yolks one at a time, beating for 30 seconds between each. In a separate bowl, whisk together flour, baking powder, salt and baking soda. Measure out milk, cream and vanilla extract in 2 cup measuring cup. Cut open the vanilla bean and scrape out the seeds and add them to the milk mixture. Add the flour mixture to the stand mixer bowl, then the milk mixture; alternating between the two and ending with the flour. Mix throughly. Stir in the ginger, white chocolate chips and dried cranberries until evenly dispersed throughout the batter. Using a scoop, divide the batter between 12 liners in your cupcake pan. Bake for 15-18 minutes in the preheated oven, or until a toothpick inserted in the center comes out clean. Transfer cupcakes to a cooling rack to cool completely before frosting. Meanwhile, as the cupcakes are cooling, prepare the frosting. In a bowl of a standing mixer fitted with a paddle attachment, add the softened butter and beat on medium speed. Beat for about 3 minutes until smooth and creamy. Add the remaining ingredients and increase to high speed, beating for 2-3 minutes. - If the frosting is too thin for your preference, add more powdered sugar. - If the frosting is too thick for your preference, add more heavy cream. 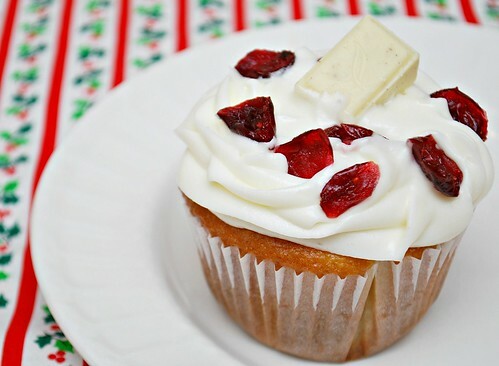 - If the frosting is too sweet for your preference, add a pinch of salt. To decorate the cupcakes, frost the cupcakes with the frosting. 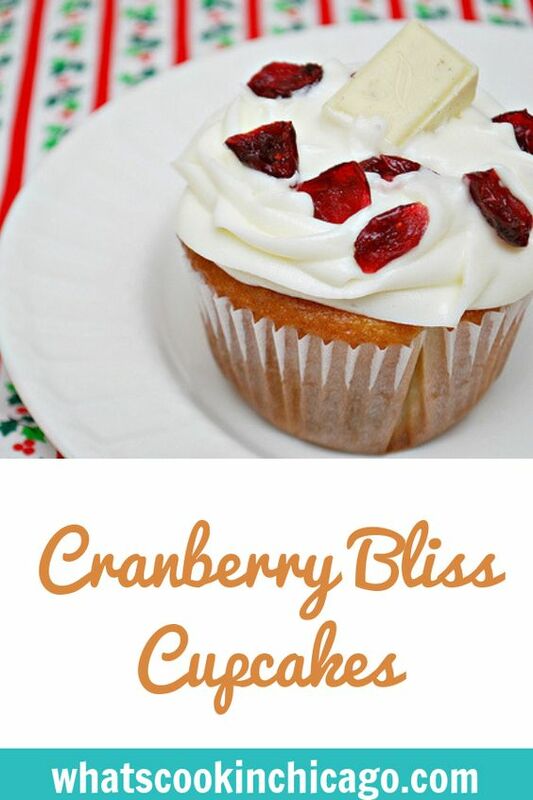 Sprinkle with dried cranberries and garnish with a piece of white chocolate bar in the center. Your Christmas Eve sounds lovely! So do these cupcakes. Happy Christmas!